It’s still winter, and plenty of people are looking for ways to keep warm at night. 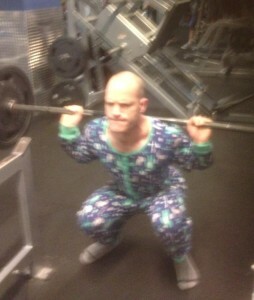 This week, if your team name includes the word “onesie” you will get a bonus point. And because taking yourself too seriously is overrated, if anyone on your team actually wears a onesie to trivia, you will get a second bonus point. Bill wore a onesie to the gym Thursday morning, because onesies are awesome.